Ash Street Saloon will transform into a djent dungeon tomorrow as some of Portland's finest in the genre, Vow of Volition and Increate, co-celebrate the releases of their newest albums. 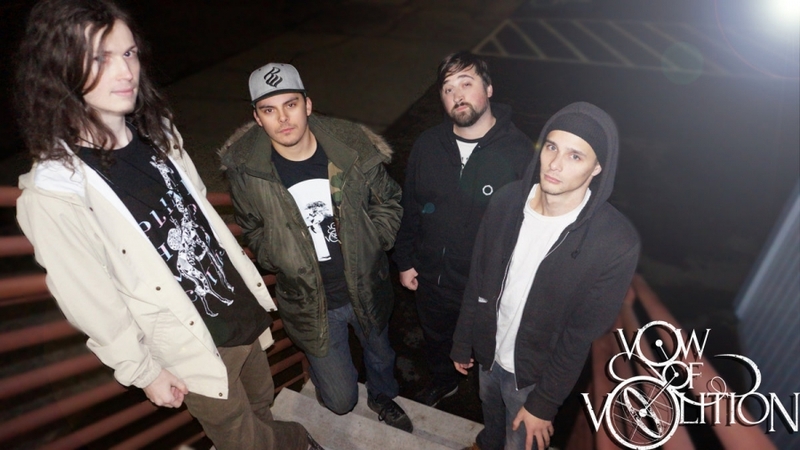 So far, Vow of Volition have shared only one single off their newest, titled Anthelion. "Promise" is somewhat short in length, clocking in at just under two minutes, but it in no way falls short when compared to any of their other epically technical death metal jams. We'll be hearing the rest of the album tomorrow during the show and if "Promise" is any indication of the rest of Anthelion, then it promises to be another solidly heavy release. Increate's full length debut, Void, dropped a few days ago and shares six new tracks showcasing their eight string instrumental assault. The quartet credit ganja, discovering the ideal balance between calculated and improvised solos, and reworking the songs after moving from including vocals to being fully instrumental as part of the process that makes Void so great. Sacrifice to Survive, Across Three Hundred Seas and Psyclops will all be joining VoV and Increate in their release show festivities. Doors for this $6, 21+ open at 8pm, so be sure to make it there on time.